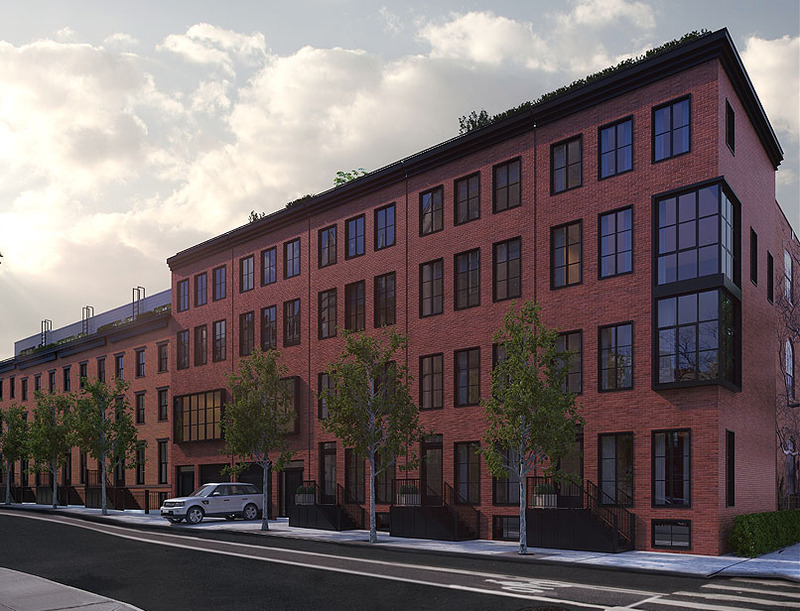 The Townhouses of Cobble Hill offer a fine collection of nine luxury townhouses located on Congress Street in the Landmark Historic District of Cobble Hill, Brooklyn. Situated on a quiet block, close to parks, restaurants, shopping and transportation, this historic property is comprised of four fully revitalized, Pre-Civil War, Greek Revival homes and five newly constructed homes all delivered with the most tasteful selection of finishes and accessories. Every detail designed by Adjmi & Andreoli.